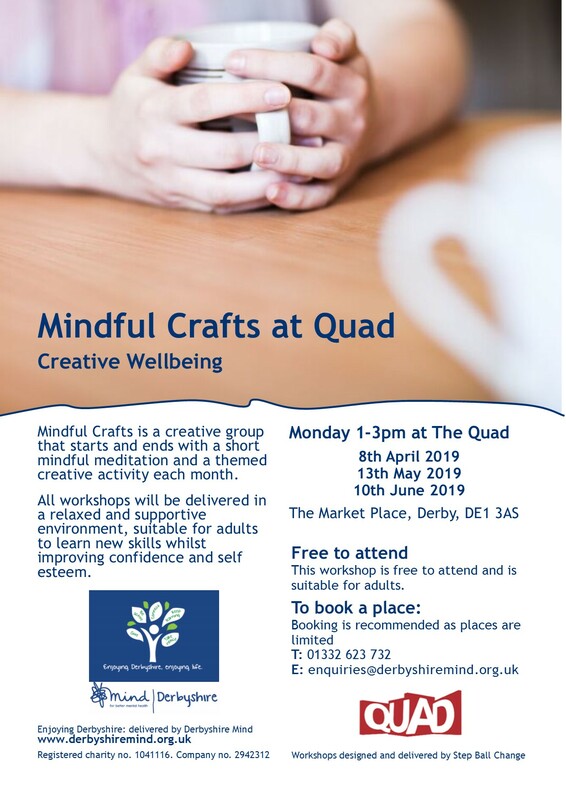 Mindful Crafts is a creative group taking place 1-3pm on the second Monday of each month during Spring / Summer 2019 at Quad, on the Market Place, Derby. This entry was posted in Events by Nicola Ward. Bookmark the permalink.